Which is the best way of overcoming technical barriers in piano playing? Which are the best piano exercises – scales, Hanon, Czerny’s Etudes or maybe other pieces? Unfortunately, many pianists (beginners and not only) are asking themselves such questions. Unfortunately, because most of the time musicians fail to understand that technique and virtuosity are not the purpose of their activity. Let’s take it one step at a time and analyze this subject a little deeper. Each time you step on a stage, ask yourself the following questions: What am I doing here? Do I have something to say to the public? If I do, what should I communicate? If you’re on the stage for proving that you have a good (or brilliant) technique, than your motivation is not the right one. Music is not about proving something. It’s not about being the best or the first. Don’t fall into this trap if you want to become a true musician. Only those who have a message, only those who understand and know how to transmit a deeper meaning of the performed work, a meaning hidden beyond the musical text and the technical difficulties – only they will be musicians that will make a difference. In theater, there is a saying: If you don’t have a message for the public, don’t even dare to step on the stage. This is what piano teachers should explain to their students instead of making them obsess (with fear) about technical details. One downside of the academic classical musical practice is the fact that students (and even professionals) forget the purpose of their activity. Many times the masterpieces of the pianistic repertoire become purposes by themselves. Playing Tchaikovsky’s Piano Concerto, Chopin’s Etudes or Rachmaninoff’s Preludes is not a beautiful and convincing way of sending a certain message, a certain feeling to the audience anymore; it’s just a barrier that has to be reached and left behind, for proving that the pianist is playing better than his/her colleagues. Prestige, ambitions, other times fear – the things driving pianists are different. Unfortunately, they are often so far from the real, true purpose of music, which is bringing joy, awareness and understanding to the listeners, this way spiritually enriching both the performer and the public. Musical performance is a powerful energetic symbiosis that goes beyond logical explanations. A good piano technique is like a sharp sword in martial arts. If used wisely, for a good purpose, it will bring peace, wisdom and constant self-perfection. If used for a wrong reason (for proving the supremacy of its user or for satisfying his need of competing with others), it will have negative consequences, damaging first of all the person who uses it. In the end, what is piano technique? It’s simply a means to an end. Without technique, we can’t send any messages to the public, not to mention subtle emotions and hidden meanings. However, without a message, we have nothing. Of course, it’s always thrilling for the audience to watch a demonstration of virtuosity. However, pure virtuosity with no soul, emotion and content is pointless – after all, why not let a computer play the piece? It will be much more perfect than any human interpretation! Now let’s go back to technical difficulties. You might be surprised to learn this, but in the end all technical difficulties we experience while playing piano are a result of an incorrect playing habit. If you had the luck of being taught by an experienced teacher who showed you from the very beginning the correct posture and playing principles, then with constant mindful practice you’ll be able to overcome any obstacles. In piano playing, all the elements should be developed at the same time: hearing and imagination, a quality sound and a good technique, anxiety control and physical endurance. Every piano lesson should comprise at least some aspects of each of these components of musical performance. This is why HOW we play is sometimes more important than WHAT we play. If you want to have a good technique that will allow you to express the most complex musical images, then playing scales, arpeggios and Czerny’s Etudes in a mechanical way will have no benefits. 1. The arm and wrist should be relaxed and flexible. The entire weight of the arm and shoulders should have a single support point: the fingertips. When playing a scale (for example), you should contemplate how the free weight of the arm is transferred from one finger to another. The arm and wrist flexibility will prevent tension and muscle stiffness which often lead to hand injuries. Also, it is impossible to have increased finger mobility if the arms, wrists or hands are tensed. The ‘heavy’ weight of the hand pressing (not hitting!) the keys will allow you to have a deep sound. The flexibility of the wrist will soften the attack, making the sound even more expressive (voice-like, not percussion-like!). Shallowness (a bodiless sound that lacks depth and color). Shallowness is a result of superficial key attack, when the pianist doesn’t know the basic principles of correct, relaxed deep playing. It appears when we play only ‘from the fingers’ instead of playing ‘from the shoulders’. Neuhaus used to say in his book The Art of Piano Playing that such a sound is ‘not a sound yet’. Brutality (a percussion-like sound, when the key is ‘hit’ instead of being ‘pressed’ or ‘dived into’). This, according to Neuhaus, is ‘not a sound anymore’. Such a noise can have different names – thud, hammering, smash or knock – each of them being an approximate translation of the Russian term ‘stuk’ used by Neuhaus. In your practice, you should always ‘hunt’ for the golden middle between these two extremes, ensuring that your sound is at the same time deep and melodious, vibrant and smooth. 3. Do not allow yourself to play mechanically, without awareness and purpose. ‘Automatic’ playing – letting the fingers run on the keyboard without the active participation of your mind – will have no benefits. Such a habit can only worsen your playing, not to mention the fact that mechanical practice is simply a tiring and frustrating loss of time. It’s better to practice for one hour in a state of awareness and concentration, than lose 3-5 hours with mechanical practice. Work smarter, not harder (however, if you work smart AND hard, the results will be fantastic!). 4. Tension is your worst enemy – both psychologically and physically! Overcoming technical barriers is easier if you don’t obsess about them. Everything comes when the time is right. It’s impossible to speed things up artificially without paying a price (do you know what happened to Schumann? If you don’t, do some research!). Do your work with calm, passion and dedication and the progress will come as inevitably as the flowing of a river into the ocean! Now that we analyzed several important aspects of HOW we should practice, it’s time to find out WHAT we should practice for developing a brilliant technique and a good understanding of the performed works. Of course, you can play scales, Hanon and Czerny’s Etudes for hours every day, but if you’re practicing incorrectly, there will be no progress. Even worse – if played for too long, these ‘boring’ technical exercises will not allow a complex development of your musical perception. Play them for some minutes before starting to work on the pieces, but remember to concentrate on the quality of the sound and on the arm posture as well! The pianistic repertoire is extremely rich in pieces that are especially useful for developing (in a holistic manner) all the needed piano skills. Personally, I advise my students to play J.S. Bach instead of Czerny :). Of course, scales are always necessary as a warm up, but after playing scales or Czerny, start practicing a dynamic piece by Bach (depending on your technical level). For beginners, I suggest Inventions or Little Preludes and Fugues. For those who have an intermediary level – the Well-Tempered Clavier. For advanced students – his organ Preludes and Fugues and other complex works. Playing Bach develops all the skills a pianist needs – a quality sound and a good technique, phasing and concentration, a deep understanding of music and life, polyphonic hearing and moral values… in fact, the list of all the benefits that Bach’s music can bring us is endless! So never give up on Bach – let his pieces be your everyday musical meditation! Let me give you another example of useful pieces for your daily practice. Did you ever wonder why Chopin named Etudes his fantastically beautiful 27 pieces? Maybe for proving that a pianist should not develop only his technique, but also his sound and (even more important!) – his capacity of mastering, manipulating and modeling the sound to his wishes, his imagination, his artistic fantasy. One more suggestive thing: take a closer look at Chopin’s Etudes op. 10 Nr. 3, op. 10 Nr. 6 and op. 25 Nr. 7. Yes, these are slow, poetic pieces which remind us more of Nocturnes than Etudes. Why are they named “Etudes”? Actually, Chopin’s intent was obvious: Our ability of exploring the unlimited spectrum of sound colors and shades, of creating beautiful, expressive phrases, of sharpening our sensitivity, should be developed as seriously as our technical skills. That’s why, when you sit at the piano to practice, don’t work separately on technical difficulties. Try to see the beauty of sound and phrase even in the most difficult passages – only then the music you’re playing will reach a new, meaningful level. My suggestions regarding the repertoire will stop here. You should have the freedom of discovering for yourself the treasures of the piano repertoire and the unlimited benefits that some pieces can bring. You will also notice that if you return to a certain piece after ‘forgetting’ it on the shelf for several years, you will have some interesting revelations, discovering new meanings that you could not notice the first time you played it. Just let your curiosity guide you and keep your mind open! A brilliant technique is a sharp sword placed in your hands. It’s up to you to decide how to use it. Excellent article! I keep searching for the basic principles in movement at the piano. I do this because I was not taught correctly from the beginning, and because I ended up in a lot of physical pain. Then I also had a traffic accident that stopped me from playing for ab 15 years. Now I have been playing for 10 years again. I love Gyorgy Sandors book “On piano playing – Motion, Sound and Expression”. He tells me to use my head more than my hands, and that you can figure out the necessary moves just studying the score. I used to be so anxious about memorizing, but now I concentrate on what needs to move to bring out what I want to express – and as a side product I pretty much memorize, too. Adding analysis aso. Now I just need to lose my extreme performance anxiety. I have some bad experiences to balance out. Dispite doing very well on exams – ie not losing a single note – I go in with mixed emotions of fear and disgust, almost black out. I understand the challenge is to block out distractions and get in the flow of the music. Despite of all adversity, I just cannot stop playing the piano – what else is there for a pianist anyway? Of course, everything originates in our head (our imagination, our intention, our feelings) when we play an instrument. Technique’s purpose is to transfer our ideas into an audible reality. However, even if technique (and the principles of movement while playing) should be subordinated to the message we need to express, there is one extremely important principle we should always keep in mind: freedom of movement. It means lack of tension in our back, shoulders, arms, elbows and wrists; it means flowing, plastic gestures reminding us of the grace of a feline; it means ‘modeling’ with your arms and wrists the contours of a phrase, making it sound like a continuous idea, not like separate notes. You got that right – memorizing should be a side product, not a purpose. The same can be said about many other technical details of piano playing. When we practice, we should always keep in front of us the musical image we want to express and model everything accordingly. 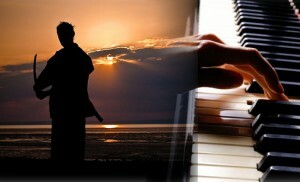 A pianist who knows and understand his/her musical goal will certainly reach it. Those who simply practice and wait to see what happens are usually facing many disappointments. Performance anxiety is tough :). Unfortunately, nobody is immune to it. But, as you mentioned, if despite all the difficulties you simply cannot stop playing, then you have it! Our passion for what we do is the basic ingredient in the ‘performance anxiety treatment’ formula. The rest are minor details: control and confidence (which come as a result of hard mindful work), focus, tranquility, breathing techniques, physical exercises and, of course, a relaxed approach towards our performance and life in general :). It took me thirty years and my first great teacher to figure some of these things out. This article should be required reading before one ever touches a note. Music is first created in the mind. The only limitation is one’s imagination. It’s very interesting what you wrote about Schumann. When I was studying, such ideas were usually avoided by professors – for obvious ‘moral’ reasons. Official books on history of music (at least those used in Russia and the post-soviet space) also lack such kind of information about the composers’ personal life. In my country, the official version remains the same – that Schumann’s hand injury was caused by his exaggerated enthusiasm in his practice and the mechanism he used for increasing the mobility of his fingers. So thank you for pointing towards a new source of interesting information – I will definitely consider it in my future articles! after just having asked about practice in another part of your website i read this and feel a bit of a fool:) i realise that playing isn’t only about technical achievements and bravura, a lot get lost down this path . I just replied to your other question under my article Work Smart! Tips for a Productive and Enjoyable Piano Practice. I’m really glad you understand that technique without meaning, without message is pointless – it’s like speaking without having something to say! Have a wonderful New Year and a very enjoyable piano practice! I really enjoy these articles. As a student of the Taubman technique, it’s nice to see references to Neuhaus’s book, as the Taubman technique is derivative of many if those ideas. I’ve found that I enjoy working on repertoire much more than playing Czerny or Hanon. I’m working on Liebestraume #3, and I find that the 2 cadenzas are very technically demanding. Concert pianists play them so fast! But I realized that, for every piece that has a virtuoso passage like that, there are many other pieces that don’t require that level of dazzling virtuosity. Therefore, the opportunities to work on musical concerns are quite abundant without constantly dealing with the stress of extreme technical requirements. By the way, in the Members Area at PianoCareerAcademy.com you can find a detailed video tutorial where I analyze and demonstrate how to practice the 2 cadenzas from Liszt’s Liebestraum No. 3 ;). I’ve always had a decent ear for music and I’ve been all emotion and no technique, to the point where I’d change the score if I “had better ideas” than the composer, and moved on to the next piece at 80% completion. Mixed with terrible teachings this led to me eventually ceasing to play classical guitar. 15 years later I am starting to learn piano and can’t help but think that “technique without meaning, without message is pointless” is only half correct. While I agree that there’s good reason to make even the dullest exercise carry a message, surely there is some benefit from practicing, even if done purely mechanically? Why so abjectly dismiss this way of enhancing muscle memory and working on strength and flexibility? As I child I would have hated such pointless/boring exercises, but as an adult I can see a bit farther and realize that if this leads to Chopin in a shorter time without leading to injury, then why not do it? I have just finished publishing a new very detailed (free!) 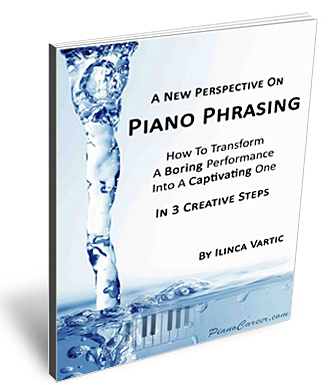 article on this topic in our FAQs at PianoCareerAcademy.com (find it under question No. 34). It is focused on technical development – according to the holistic method we use in the Russian piano school. The article answers your question in a detailed manner – so make sure you read it until the end (also paying attention to the fragment about expression; you will find out that playing ‘with emotion’, like you were doing before, is a completely unprofessional approach, having nothing to do with real expression, which is a complex art and also exact science! ).